How can I remove a tag? 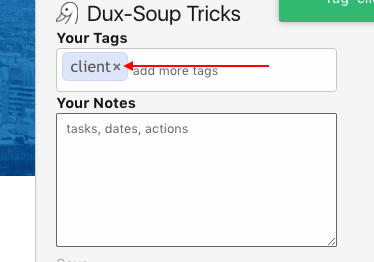 If you are not sure what tags have you used, you can check them by going to "Search by Tag" on the Dux-Soup menu. When you enter a specific tag, it will bring up the list of profiles. Then, you need to go to each profile manually and remove the tag from that profile.